There are a few different types of materials that have been used to install or upgrade electrical wiring inside of American homes in the past. For many years, home builders and electricians chose to use aluminum wiring in homes. They also opted to go with silver wiring. But in more recent years, most of them are choosing to get the job done by using copper electrical wiring. Whether you're installing electrical wiring in a new home for the first time or upgrading old electrical wiring in your existing home, you should strongly consider going with copper wiring. There are so many advantages that you will enjoy when you go with copper vs aluminum wire or silver. Check out the benefits of using copper wiring in your home below. Electrical wiring is designed to conduct electricity and carry it to the places you need it. But not all electrical wiring is created equal when it comes to conductivity. While copper, silver, and aluminum wiring can all conduct electricity, copper is, hands-down, the best conductor of the bunch. It's the No. 1 reason why you should use copper electrical wiring when wiring a home for the first time or upgrading your existing wiring. You will be able to get more electricity into copper electrical wiring than you would be able to get into other materials. That will make your electrical wiring more efficient as a whole and take your electricity where it needs to be. When an electrician is installing electrical wiring in a home, they have to bend, twist, and shape it to fit around all kinds of things. From tall door frames to sharply angled corners, the wiring has to be flexible enough to fit around just about anything. With copper electrical wiring, this is easy because it's known for being very flexible. You can bend it to fit around whatever you need it to, and it'll take on its new shape quickly and easily. As an added bonus, copper wiring won't get brittle when you bend it around things. The copper wire won't crack, break, or become compromised when you have to rework it. Once you have it in place, it will stay put. You won't have to worry about fixing any broken copper wires in the years to come. One of the things homeowners have to be concerned about when it comes to electrical wiring is the melting point of it. All metals have a melting point, and if that melting point isn't high enough, it can result in electrical wiring burning up and potentially cause a fire. When too much electricity surges through it, it could start to melt and create chaos in your home. Copper has a very high melting point, and because of it, it's very unlikely that it will ever melt on you and start a fire. Many electricians prefer to install copper for this very reason. The same cannot be said for aluminum wiring. While aluminum used to be one of the standards in home electrical wiring, it's now considered to be one of the most dangerous forms of wiring out there. You don't want a fire to start in your home, do you? Then you should have copper electrical wiring installed to cut down on the risk of a fire taking place. If you install something other than copper electrical wiring in your home, there is a chance that the wiring could become loose over the years. Copper wiring is, as we mentioned earlier, flexible and will stay in place. But many other wiring materials will move over time and pop out of place. This could create dangerous conditions behind the walls of your home. But more importantly, the wiring could need to be repaired in the future. It could be very costly to take your existing wiring and put it back where it's supposed to be. Rather than doing it, you should think about installing copper wiring. 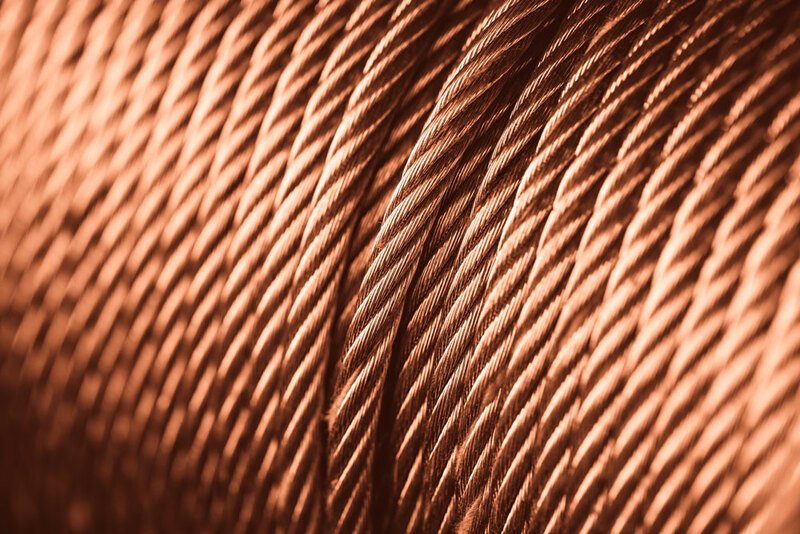 A lot of the appliances and other electrical equipment on the market today utilize copper and perform best when they're paired with copper electrical wiring. You can usually use other kinds of electrical wiring if that's what you have. But the different types of wiring won't always be compatible. In some cases, you can do damage to the copper wiring in your appliances by connecting them to wiring that isn't made out of copper. It might not be feasible for you to rewire your whole home right now to ensure that your appliances match up with your home's electrical wiring. But if you have the option to start with copper wiring, that's your best bet. It'll make all of your home's appliances run smoothly. Most electricians enjoy working with copper electrical wiring as opposed to other types of wiring. Electricians feel more confident installing copper wiring. That confidence will pay off for you in the end. You will rest easy at night knowing that you have the best form of electrical wiring in your home. Are you experiencing a slew of electrical problems in your home at the moment? It could be because of the electrical wiring you have installed. We can provide you with the residential services you need to fix the issues. We can also tell you more about the benefits of using copper electrical wiring in your home. Read our blog to see some other tips for maintaining the electrical system in your home.